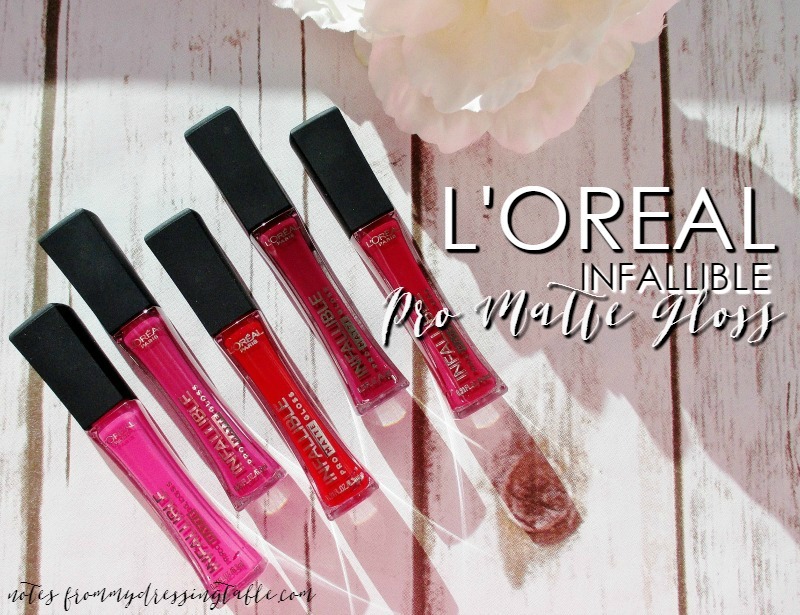 L'Oreal Infallible Pro Matte Gloss is new for Spring and Summer. L'Oreal says that this hybrid formula offers high impact colour, a velvet matte finish and all day comfortable wear. Available in ten shades, I have five to share with you, today. 302 Fuchsia Amnesia is a bright, blue based pink. 304 Rebel Rose is a delicate medium rose pink. 308 Shanghai Scarlet is a bright, clear red. 310 Forbidden Kiss is a rich berry. 312 Rouge Envy is a soft, muted rose red. 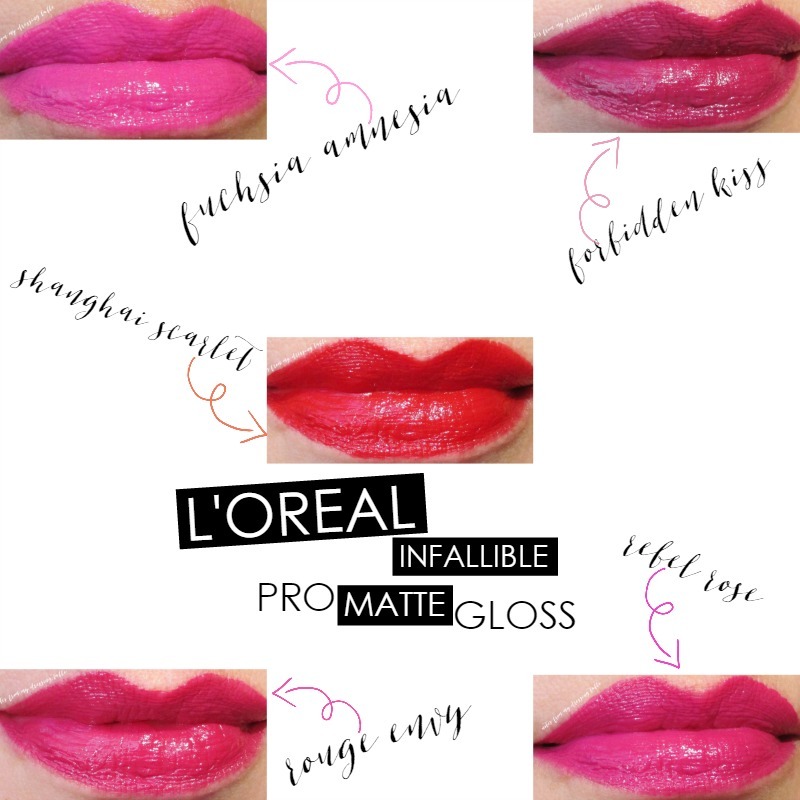 L'Oreal describes this formula as an intense, high pigment whipped matte gloss. And... That is where they lose me a little. Matte. Gloss. Huh? Don't get me wrong, the formula is actually quite lovely and the colours are gorgeous and wearable but this liquid lippie is not really matte nor is it truly a gloss. Packaged in a slim, hourglass shaped tube, there is 0.21 fl oz. of product and it retails for about $10.00 give or take, depending on where you purchase. Delivery is via a wand with an elongated, slightly flexible spade shaped flocked applicator. The sharp tip allows for a precise application of the product along the lip line. 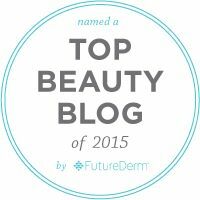 There is a dip in the applicator to hold a little extra to make repeat trips back to the tube less necessary. Pro Matte Gloss goes on smoothly, evenly and I to get an opaque, perfected finish in just a few easy strokes. Swatches! As you can clearly see, this lippie doesn't go on mate. It starts off a satin/gloss and, over time and with wear mattes down, somewhat. The lip colour doesn't dry down completely and remains flexible and colour true for hours. There is some transfer, but once it mattes down, I don't glop up drinking vessels or my husband. Comfort is... Not too bad. I can wear one of these for a few hours, now and again as long as I balm up well, first. 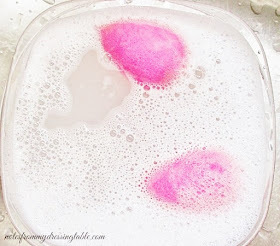 If your lips aren't as idiotically sensitive and prone to dry out as mine, I honestly believe that you will find this formula to be quite comfortable and wearable. 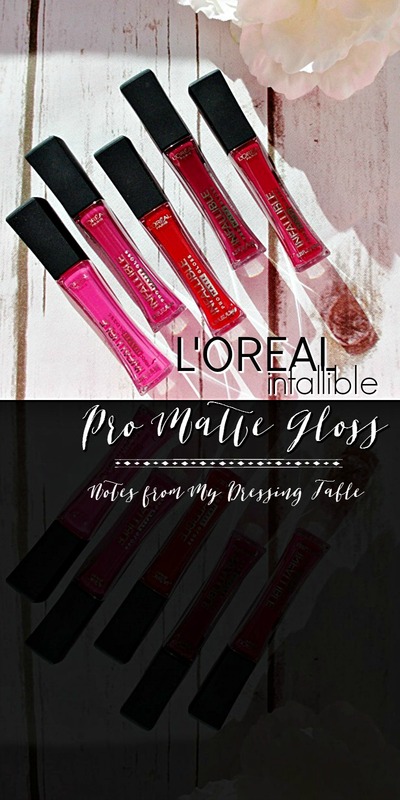 Bottom line, L'Oreal Infallible Pro Matte Gloss is beautiful, affordable, comes in a nice array of shades and tones so that just about everyone can find something that they will like and are widely available. 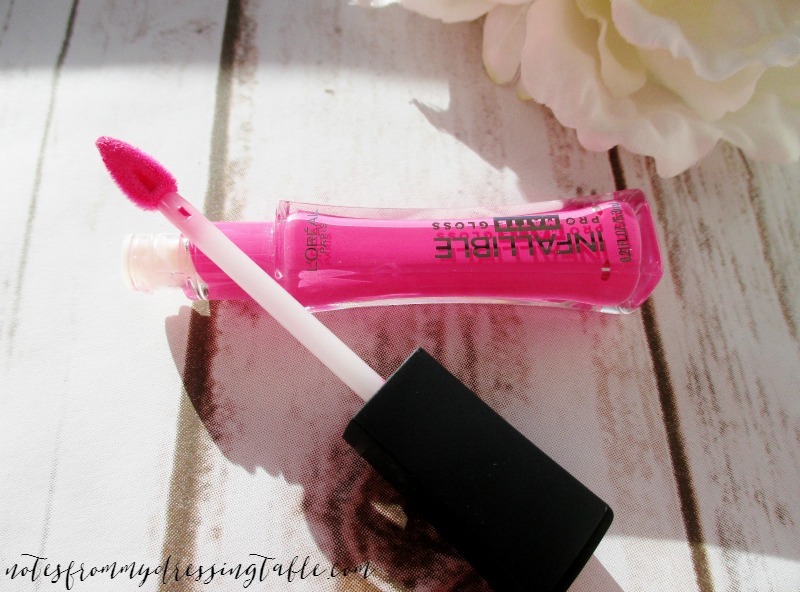 Have you tried these hybrid matte glosses? What do you think of them?